Now here is a treat to make that will keep the kids busy while you are getting the fixings ready for tomorrow! 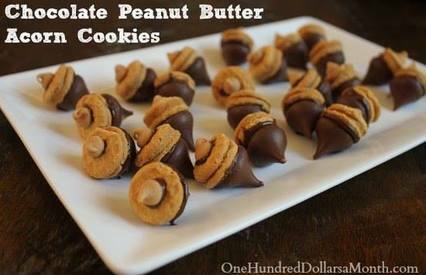 They are totally the easiest things on the planet to make. Even the Handsome Husband could make them. Maybe I should see if he wants to whip some up for our Thanksgiving dessert table?! Do you think if I bribe him with pumpkin pie and he’d do it?